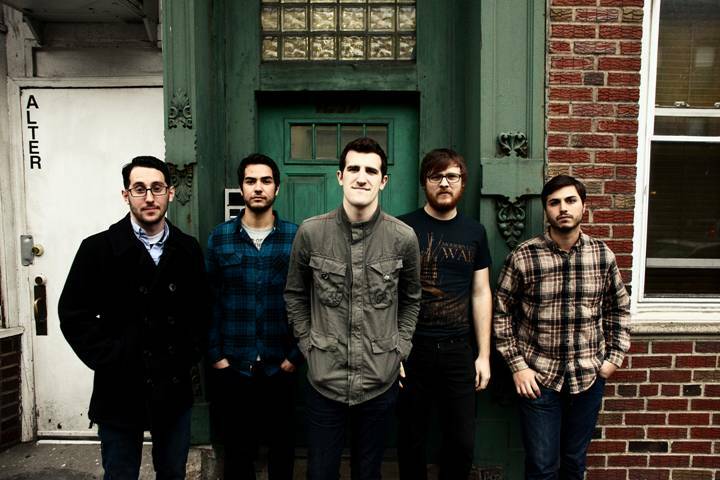 Alternative Press has premiered The Jealous Sound‘s new video for “A Gentle Reminder”. 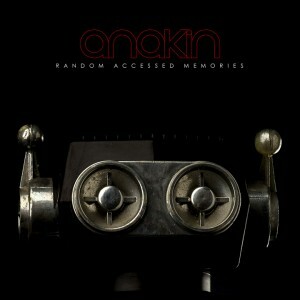 The deluxe re-issue of the album is set to be released February 5 via Rise Records. Watch the video here. Pre-orders for the deluxe re-issue of The Jealous Sound‘s A Gentle Reminder are available at MerchNow. The double gatefold LP version includes six bonus tracks, while the CD version includes four bonus tracks. The re-issue is scheduled for a February 5 release through Rise Records. In addition, the label will be re-releasing their first 2 albums as one deluxe version. The s/t EP and Kill Them with Kindness albums will be re-released in the summer of 2013, with a new album expected in early 2014. 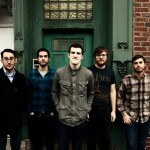 Balance and Composure will hit the road in early 2013 for a headlining U.S. tour in support of their debut full length album Separation. 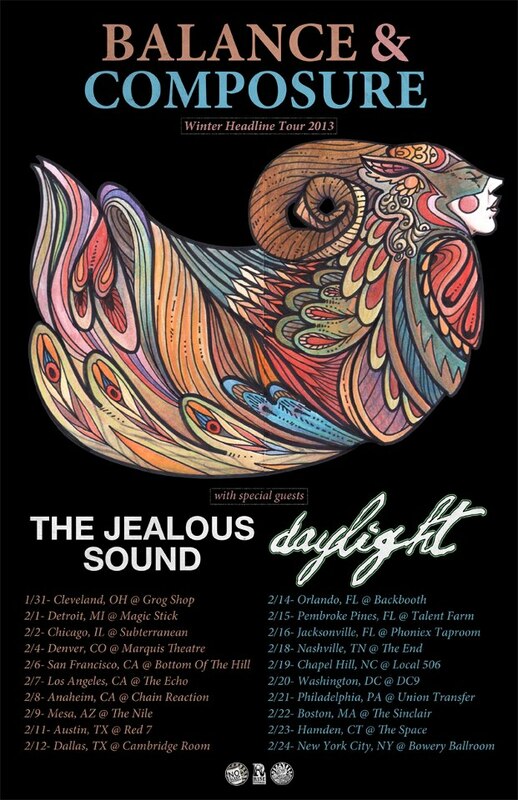 The tour, featuring support acts The Jealous Sound and Daylight, will kick off on January 31 in Cleveland and culminate on February 24 in New York City. Tickets go on sale beginning November 16. 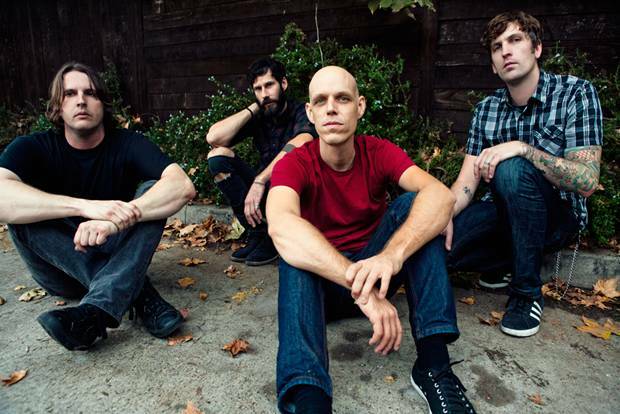 Daytrader frontman Tym has announced his departure from the band. 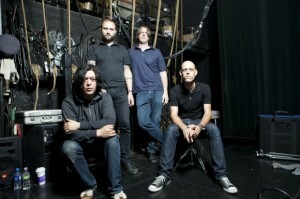 The band will not be finishing their current tour with The Jealous Sound. So it goes. Another band succumbs to the ups & downs of rock n roll. Personal and creative differences have come to a head and have made it so I cannot finish the current tour Daytrader is on. I have no malice towards anyone in the band and I wish Gary, Matt, Derrick, and Robert the best. I think they are going to make music together in the future and I’m sure whatever they do will be great. Daytrader and Tym have parted ways and we will not be able to finish our current tour with The Jealous Sound. We are continuing with a new singer and will be announcing upcoming tours soon. Thanks for your support and we will see you on the road in the near future. 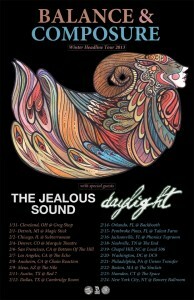 The Jealous Sound have announced dates for a fall headline tour with support from Daytrader. In conjunction with the tour, Rise Records will release a limited edition, split 7” featuring tracks by both bands. Click here for a free download!